This year will be one of the first Christmas periods is a long time where I'll be able to have a few drinks. But even though I'm entering the Christmas party season without being pregnant, life with four young children, two of which are still nursing, means that while I'm excited about being able to have a couple of glasses of the strong stuff, I'm still not keen on nursing a hangover. Not drinking at Christmas parties doesn't have to be boring though. And, having spent several years struggling with sickly sweet kids drinks, I've discovered a few adult alternatives for anyone having a dry Christmas. Apple, elderflower and mint fizz: Combine half a glass of apple juice with a splash of elderflower cordial and top up with sparkling water for a refreshing non-alcoholic spritzer. If you're a fan of Rose wine but don't fancy the alcohol-free versions, why not try Fenitmans Rose Lemonade. It's made using pure rose oil and tastes divine. Just because you're missing out on the sparkling wine or champagne doesn't mean you can't toast the season. Schloer do a range of sparkling grape-based drinks including this Sparkling Rose. Mulled apple juice: Conjure up the smell of Christmas with an alternative to the seasonal mulled wine. Simply add cinnamon sticks, orange peel and cloves to a pan of apple juice and simmer. You'll be sober enough to really appreciate the smell of Christmas wafting through the house. Cranberries aren't just for turkeys. Mix cranberry juice with sparkling water and top with a twist of lime for a seasonal and refreshing simple mocktail. Ginger and honey iced tea: If you're feeling under the weather, a ginger and honey iced tea will look classy while also easing your sore throat and boosting your immune system. Brew a black tea and stir in some grated ginger and a spoonful of honey. Remove the tea bags after about five minutes and leave to cool before putting in the fridge. Add ice and mint leaves to serve. Grapefruit and Rosemary Mocktail: This takes a bit of preparation, but the result smells so good, it's well worth the time. First, you need to make a rosemary syrup by heating up a cup of water and a cup of granulated sugar on the hob. Be careful not to let the mixture boil or the sugar might crystallise. Once you have your syrup, add a couple of sprigs of rosemary and let it cool before putting it in the fridge. When your rosemary syrup is ready, add a glug to a glass of grapefruit juice and add ice and another sprig of rosemary. 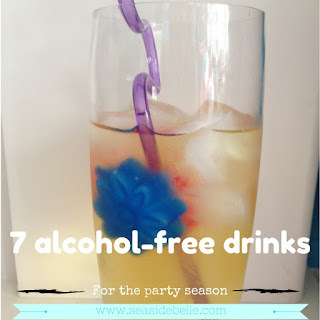 What are your favourite alcohol-free party drinks? For the last two years I haven't really drank at Christmas, one I was pregnant for and the other nursing. 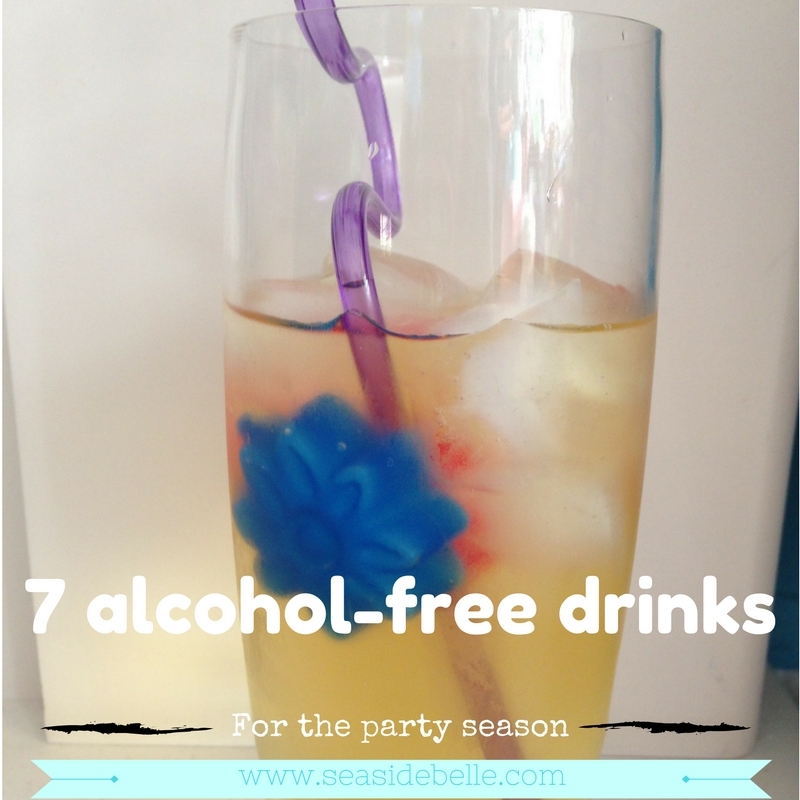 I never really thought to look for alcohol free drinks.